Congratulations to tour winner Lee T. and to host winner Notes From a Romantic's Heart. 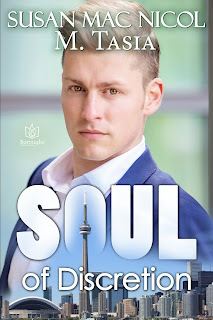 Goddess Fish Promotions is organizing a Virtual Book Blast Tour for SOUL OF DISCRETION by Susan Mac Nicol & M. Tasia, a M/M romance available May 1 from Boroughs Publishing Group. The Book Blast Tour will take place April 30 - May 4. This tour will not include interviews or guest blogs; however, a blurb, excerpt and author bio will be provided to every host for inclusion on their blog. A PDF, mobi, or epub copy of the book is available for review. 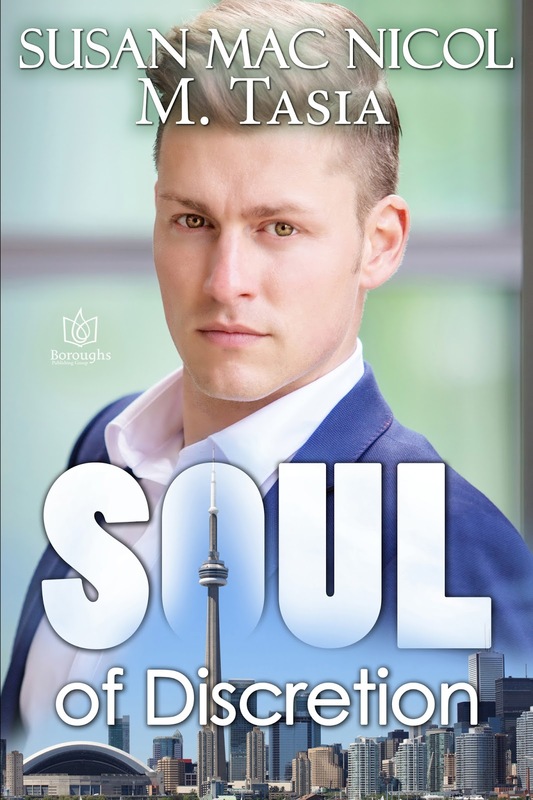 The authors will be awarding eBook copies of Survival Game by Susan Mac Nicol and Grady by M. Tasia to a randomly drawn winner via rafflecopter during the tour and to a randomly drawn host.